Uti Nwachukwu, Nigerian actor and TV show host, has said his father is responsible for his pose and love of fashion. The actor/model made this statement when he posted a picture from his childhood on his Instagram page. “My parents must have been using me to make yanga shaaa, see this bomboy. I blame my father for my pose pose and love of fashion; the swag was always there though,” the 34-year-old wrote. 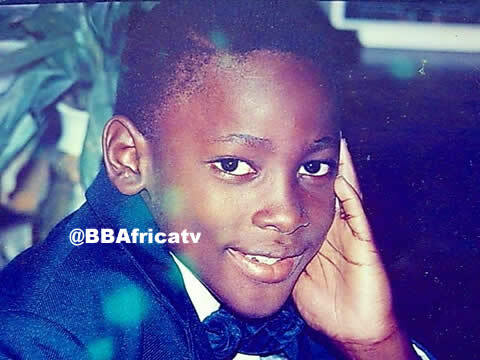 “Even if them no tell you, you go know say this pikin was destined for television, modelling and fashion things. It was written! Uti hit the limelight after representing Nigeria in the third and fifth edition of Big Brother Africa, emerging winner of the latter edition.